Jim and I have always appreciated the Jeep brand for its durability and reliability. 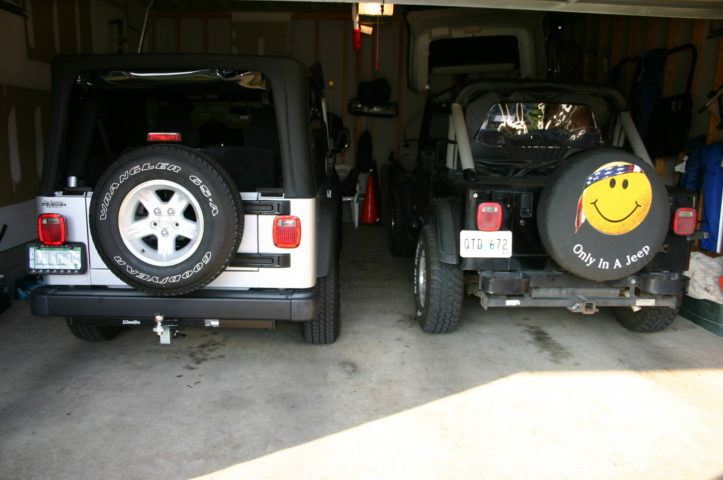 Here, 2 of our Jeeps are parked in the garage: A 1990 Jeep Wrangler and a 2004 Jeep Wrangler Unlimited. Following are photos from the day I said goodbye to my personal vehicle that I got before I married Jim — an Isuzu Rodeo — and I said hello to my new Jeep Grand Cherokee. Kissing my old 1999 Isuzu Rodeo goodbye in the parking lot of the Isuzu dealer in Nashville. Though we liked the Rodeo a lot, we didn’t like the lease payments, so we were thrilled to move on and find another ride. 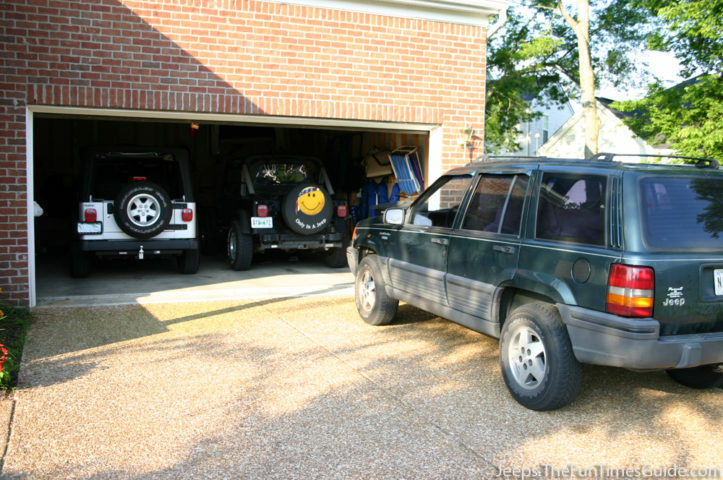 When the lease on the 1999 Isuzu Rodeo expired, we gave it back and paid cash for this 1994 Jeep Grand Cherokee Laredo. It had a lot of miles, but was a one-owner vehicle (a woman who drove it to work and back). She also kept every service record, every oil change, tire rotation, etc. This Jeep was in really good condition when we bought it through AutoTrader.com. The new Jeep was like a new toy for Jim. He was eager to polish up the inside. Jim even took it so far as to polish the engine! That makes 3 Jeeps in our 2-adult household (and no kids). Yes, we love Jeeps! Please join me in welcoming a new Jeep to the family. We just purchased our 4th Jeep! 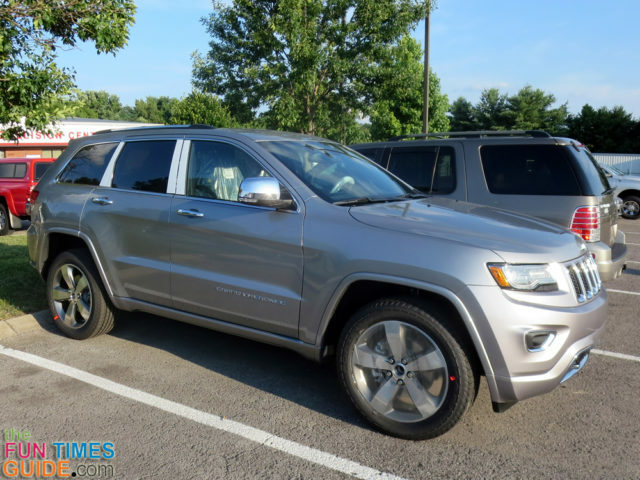 It’s a 2014 Jeep Grand Cherokee Overland. Here’s our review. Yep, we still have the 2014 Jeep Wrangler Unlimited – couldn’t be happier.